A special gift for your special daughter! This Joma Jewellery bracelet is presented on a gift card that reads 'This special heart is just for you because you're my daughter and I love you'. 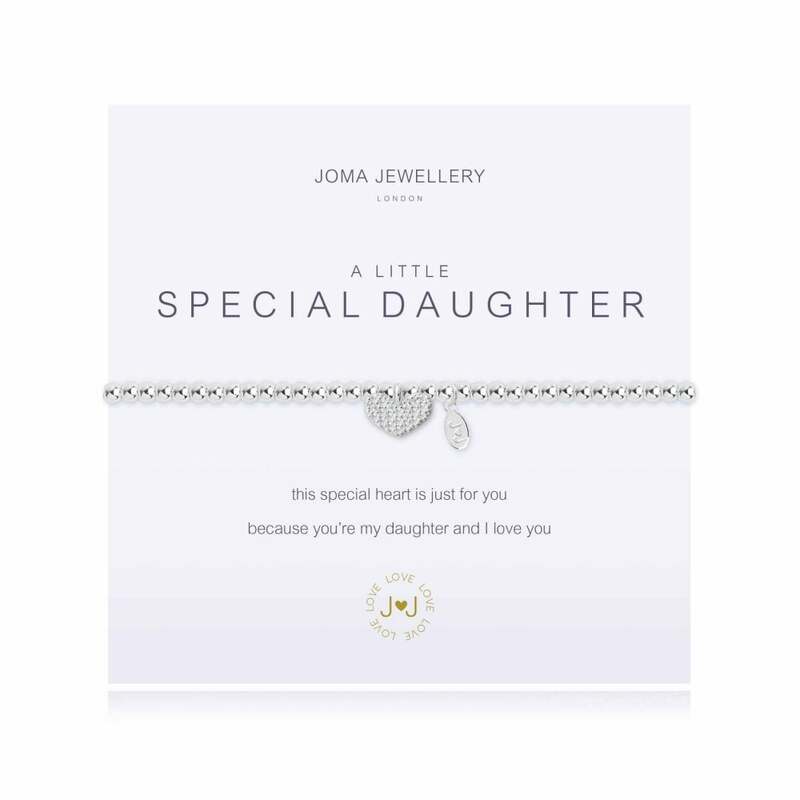 Having a daughter is having a best friend for life, so why not show yours just how much she means to you with this beautiful A Little Special Daughter bracelet from Joma Jewellery. This stretchy beaded bracelet presents a delicate pave heart charm, making this piece the most gorgeous gift, and the perfect everyday piece all at once!